How To Use 4G LTE Internet on Old 3G Phones, WiFi Tablets, Laptops & Desktop PC? With the emerging trend of 4G LTE technologies and high speed internet revolution, we are able to enjoy download & upload speeds up to 150 Mega Bytes Per Second (MBPS) just by using 4G LTE supported smartphones. Everyone can simply purchase a 4G LTE supported smartphone or tablet and get started with super high speed internet to download music, movies, projects, online gaming and much more. Unfortunately old 3G smartphones & tablets cannot let you enjoy 4G LTE speeds. In this post I will reveal some great opportunities for my blog readers that will help them to have excellent internet connectivity even on their old devices with WiFi capabilities. 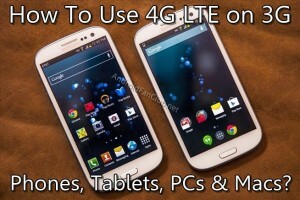 How To Use 4G LTE on 3G Phones, WiFi Tablets, Laptops & Macs? 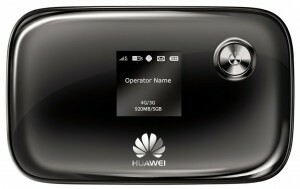 I will be introducing you with 4G LTE MiFi Hotspot* (Huawei E5776), which can be used to avail 4G LTE connectivity on your old 3G smartphones and WiFi tablets. Yes!! 4G LTE WiFi Hotspots can be used with any 3G device that has WiFi connectivity, including old 3G Android Smartphones, Tablets, Laptops and even Macs. LTE WiFi HotSpots are battery operated and can deliver up to 6 hours of battery life on a single charge. You can simultaneously connect several WiFi devices and enjoy high speed 4G LTE internet connectivity for several hours. 4G LTE hotspots are backward compatible, that means if your area is not covered by 4G LTE connectivity, the 4G HotSpot will still work with either 3G or 2G coverage. They are portable and light weight, therefore you can carry them anywhere with ease. If you are owner of any 4G LTE smartphone, you can also share your data connection with your old 3G supported handset via HotSpot and surf high speed internet connectivity. If you are planning to get a decent specs & cheaper Android smartphone that offers 4G LTE connectivity, you must go with Huawei Ascend Mate 2. Off course you will need to buy a 4G LTE Data SIM from your telecom provider in your country to use Portable 4G LTE WiFi Hotspot. In case your phone, tablet or 4G hotspot is running out of power, you can give a try to Portable Power Banks that will keep on charging your devices. How To Use 4G LTE on Desktop Computers? If you have already bought the Huawei’s 4G LTE Mobile WiFi HotSpot, you can easily use it with your desktop computer. You just need to have a USB WiFi Receiver (Edimax EW-7811) Installed on your PC to easily get connected with any WiFi Network or WiFi Internet Connectivity device.